Jocelyn Downie SJD, FRSC, FCAHS is a University Research Professor in the Faculties of Law and Medicine at Dalhousie University. She is also a member of the Dalhousie Health Law Institute. Professor Downie received an honours BA and MA in Philosophy from Queen’s University, an MLitt in Philosophy from the University of Cambridge, an LLB from the University of Toronto, and an LLM and doctorate in law from the University of Michigan. After graduation from law school, she clerked for Chief Justice Lamer at the Supreme Court of Canada. 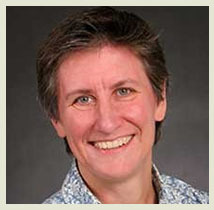 Professor Downie has published numerous books and articles including Dying Justice, winner of the 2005 Abbyann Lynch Medal in Bioethics from the Royal Society of Canada. She has spoken at conferences on a variety of health law and policy topics across Canada and around the world. Her most recent writing projects include papers on end of life law and policy in Canada, barriers to access to abortion in Canada, various aspects of the law as it relates to organ and tissue donation and transplantation as well as Health Law at the Supreme Court of Canada and Canadian Health Law and Policy. Professor Downie has been the principal investigator on numerous research projects including a $1.8 million training program in health law and policy funded by CIHR and a $1.5 million CIHR grant in neuroethics. She thoroughly enjoys teaching Health Care Ethics and the Law as well as Legal Ethics and Professional Responsibility in the Faculty of Law and supervising a wonderfully talented group of graduate students and postdoctoral fellows on various aspects of health law and policy. She has served on many committees and boards. Professor Downie was a member of the Provincial-Territorial Expert Advisory Group on Physician-Assisted Dying, the National Blood Safety Council, the Federal/Provincial/Territorial Advisory Committee on Population Health, and the Experts Committee for Human Research Participant Protection in Canada. Through all of her work she tries to contribute to the academic literature and promote progressive change in health law, policy, and practice.